okay, if you would have asked me a year ago if i would ever make a treat for a dog, the answer would be a big fat obvious no. but that was before we got our sweet mochi. now, i am totally that person. and unapologetically so. 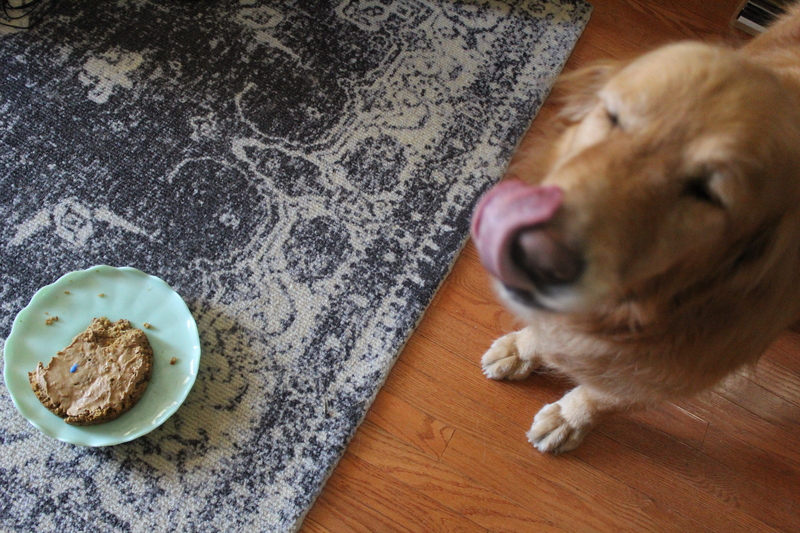 in fact, so unabashed in my dog treat making, i’m sharing the recipe for a cake we made for our dog. august 15 marked one year since mochi joined the family. he deserved it. combine oil, peanut butter, egg, and vanilla. next, mix in the carrots, coating well. finally, fold in the flour and baking soda. spray a small cake pan, or use a cupcake pan. 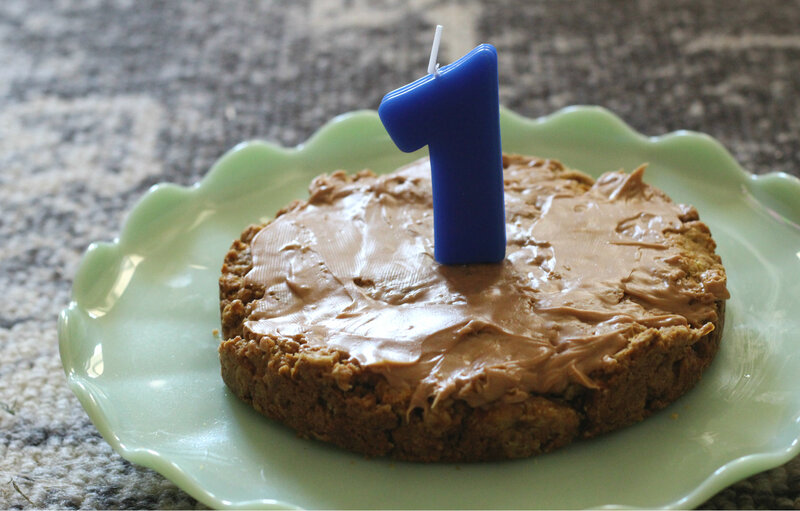 bake for 40 minutes, then cool for 10.
i “frosted” this cake with more peanut butter, a surefire crowd pleaser. this “cake” is really more like a cookie. it doesn’t rise much at all. 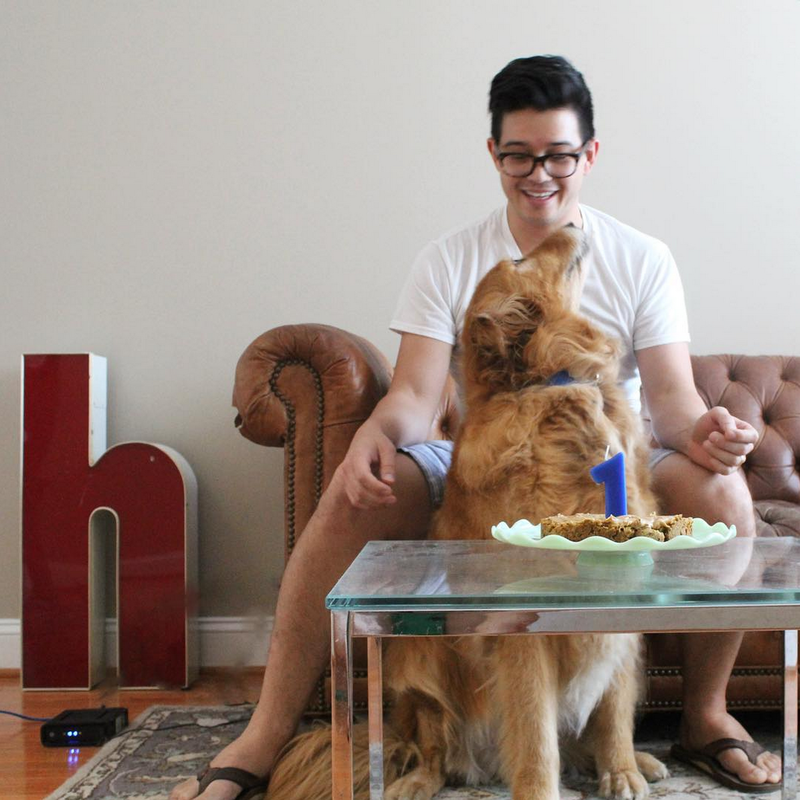 mochi was pretty happy to have his picture taken with his cake! the vet guesses he’s about 7 years old, but we went with a “1” candle to celebrate our year together! we didn’t write this recipe. i found it online. 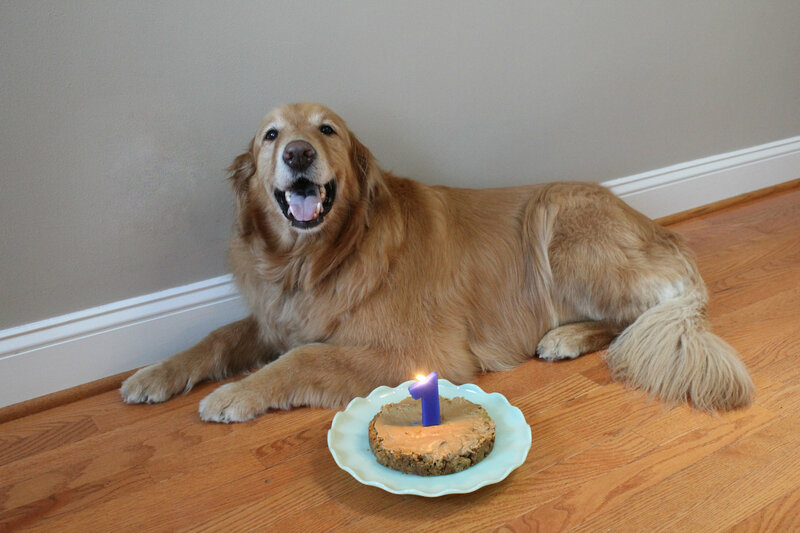 if you search “dog cake recipe”, this same one comes up about a million times, so i’m not sure where it originated. what i can tell you is: your dog will devour it. here’s to many more with our mochster! we’re glad you’re our doggie! awwww you are an awesome mommy!!!!!!! I love you!! !